Volkswagen owners, just like their vehicles, are in a class all their own. They admire the fine German engineering that goes into every vehicle. They understand that, in order to get the most out of their car, that a VW requires a special touch and expert care. Not just any mechanic can work on your vehicle. A special, factory trained technician who is extremely knowledgeable in Volkswagen service and repair is the only person you should trust with your VW. With years of experience and hands-on knowledge, the Volkswagen technicians at AutoImports of Denver are the experts your car deserves and the VW repair Denver residents have trusted since 1984. We can diagnose any issue your vehicle may be experiencing, come up with a fix, and integrate the solution all in house. From major repairs to routine maintenance, our team of professionals can help make your Volkswagen look and run better than ever before. When it comes to VW repair and service, there is no guessing on our end – we know exactly what we’re doing. Call us today and learn why the best Volkswagen technicians in Denver help make the best Volkswagen vehicles for years to come. AutoImports is the best VW repair shop Denver has to offer. If you have any questions or concerns regarding your VW, please don’t hesitate to contact us. At AutoImports of Denver, we work exclusively on all VW models, new or old. With today’s technologically advanced vehicles, you need specialists to keep them operating at their best. AutoImports of Denver is a repair facility with the experience, the passion, and the technology to care for any of the vehicles we service with exquisite skill and attention to detail. Our clients expect nothing less. Without practicing timely maintenance of your transmission, you could experience a variety of different issues. If you notice any peculiar noises in between the shifting of your gears, or it’s taking an abnormally long time to shift gears, you may be experiencing “slipping,” this is a possible sign of the early-to-mid stages of transmission failure. This is why it is important to service your transmission every 60,000 miles. We can determine exactly what services or repairs are needed. We have found in the past that, over 76% of the time, phone and email quotes can be inaccurate. We are the experts in our field, and will save you time, aggravation, and money from the start with our quote process. We also offer pre-purchase inspections and evaluations for any prospective auto buyers. Put your mind at ease when getting ready to purchase a vehicle. In the process, we will check all components of the car including; brakes, suspension, exhaust system, drive line, transmission or trans-axle, differential, any leaks, cooling system and hoses, belts, charging system, lights, and battery. We do an overall assessment to make sure that the vehicle is functioning to your satisfaction. Consider this the best pre-purchase insurance. This assure, you have not purchased a lemon and provides you peace of mind. Our customers appreciate the serenity and quality of this service. 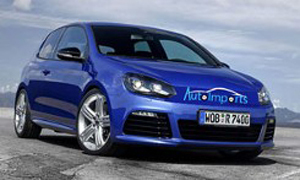 Trust your VW to AutoImports of Denver for your next scheduled service or repair. ©2019 Auto Imports of Denver - Do not copy. All rights reserved.